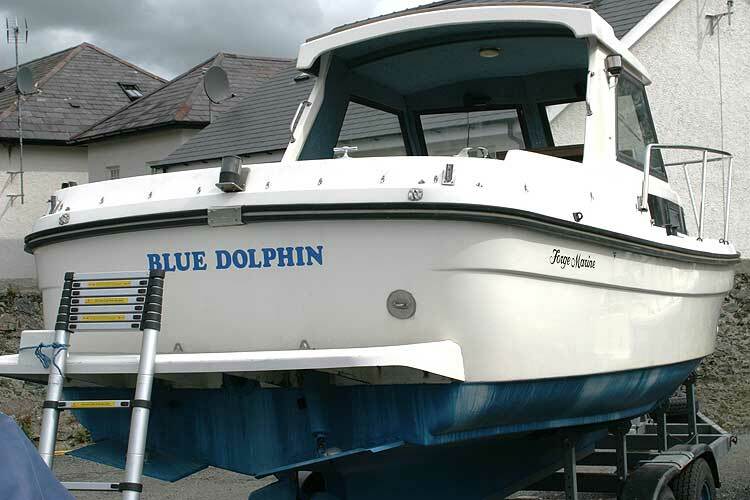 The Black Marlin was built by Forge Marine in 1995. 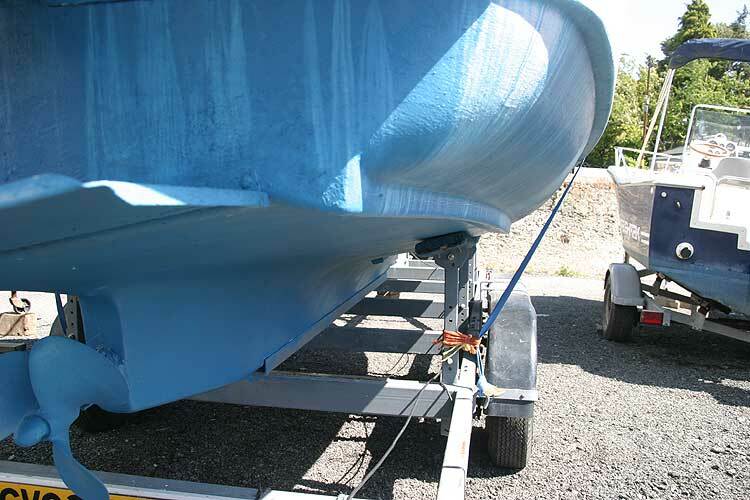 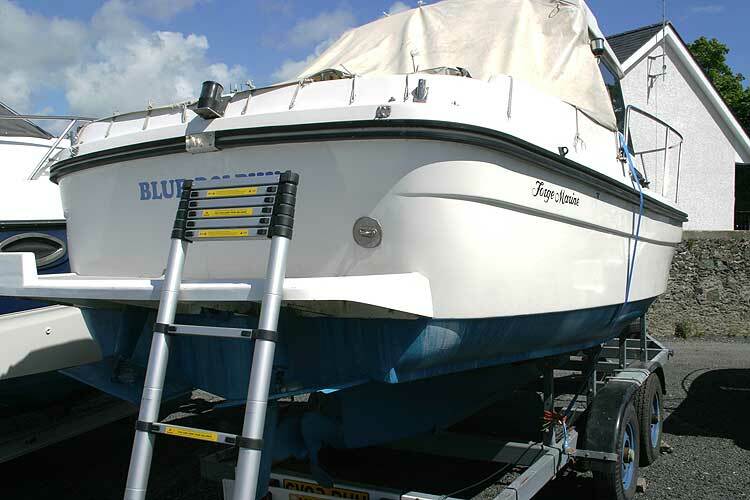 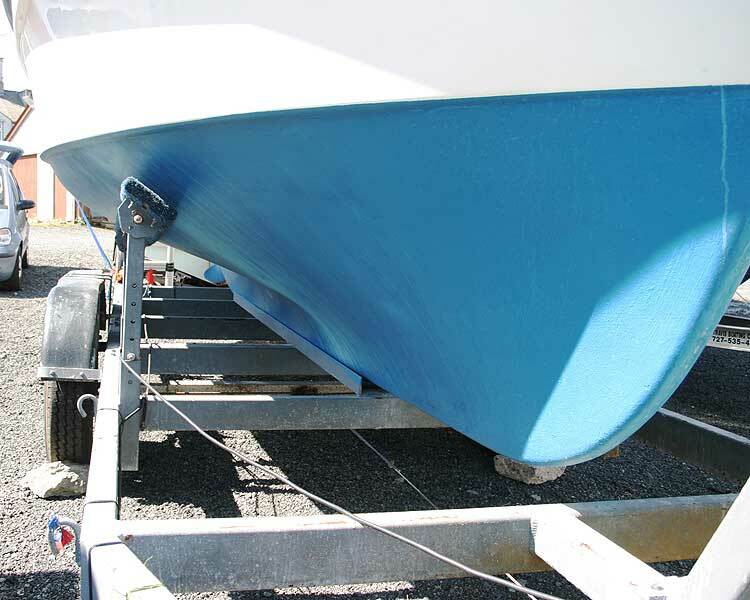 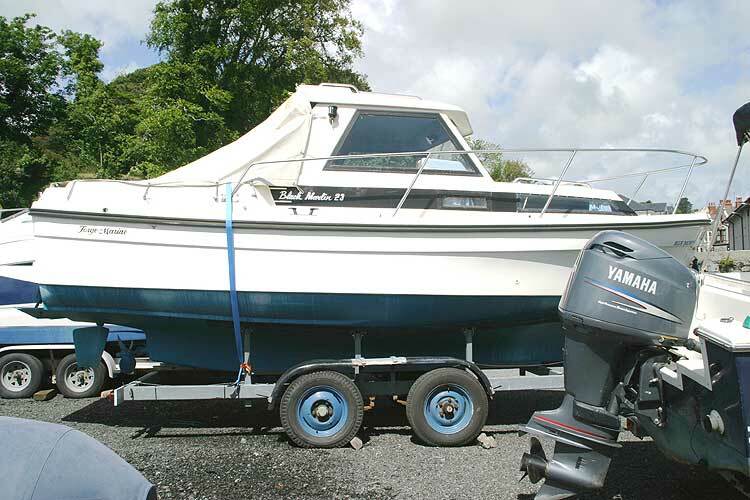 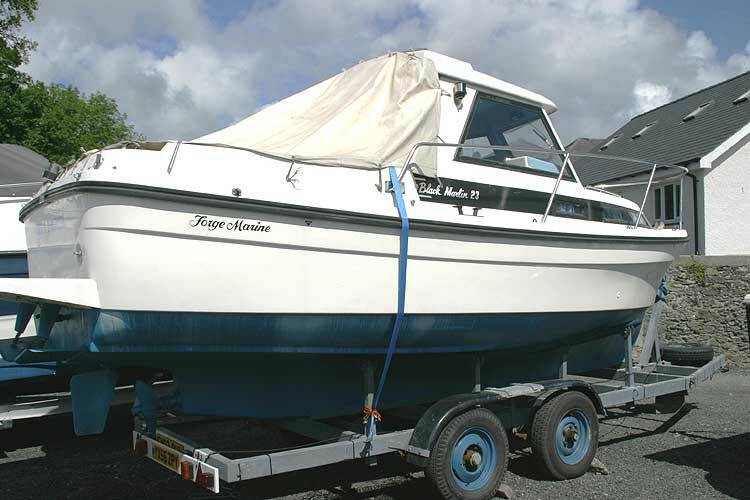 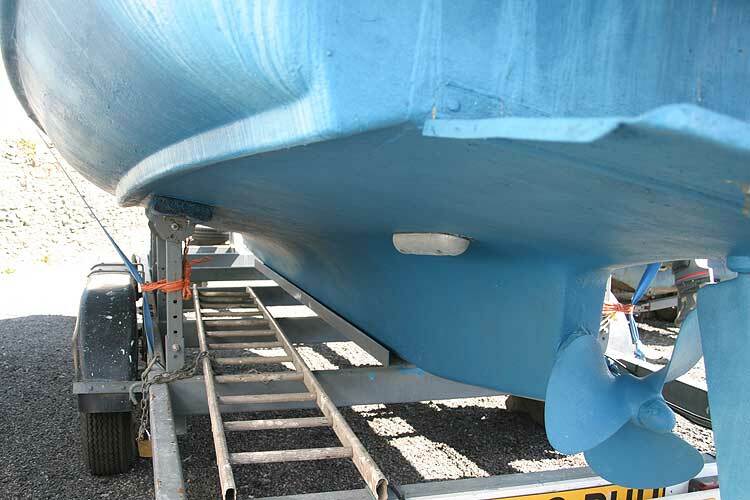 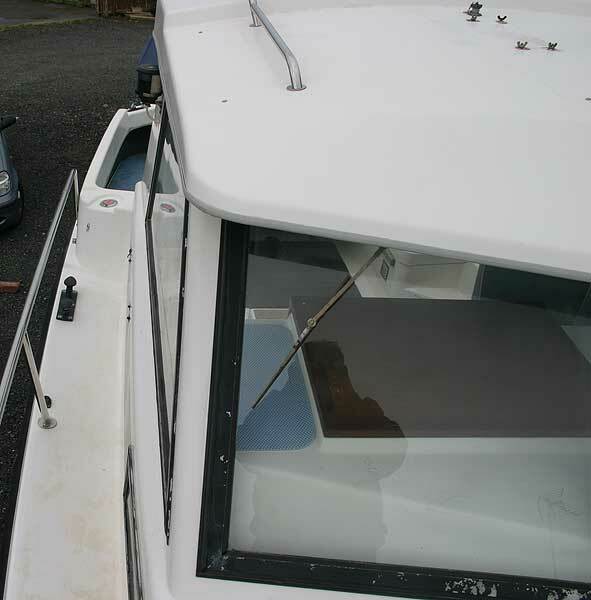 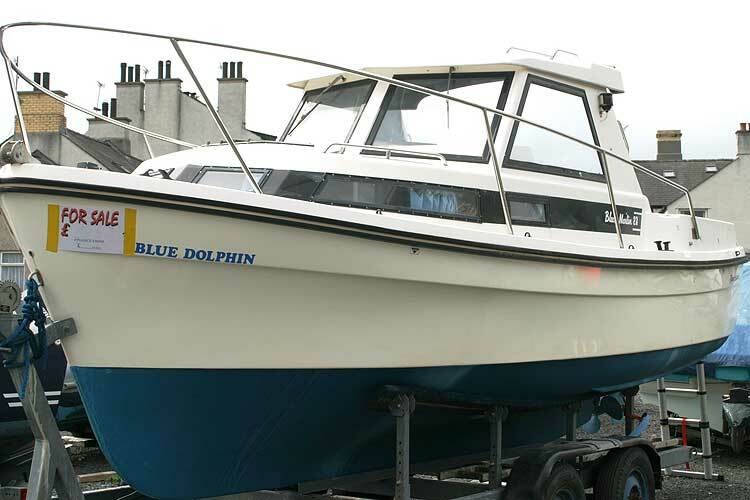 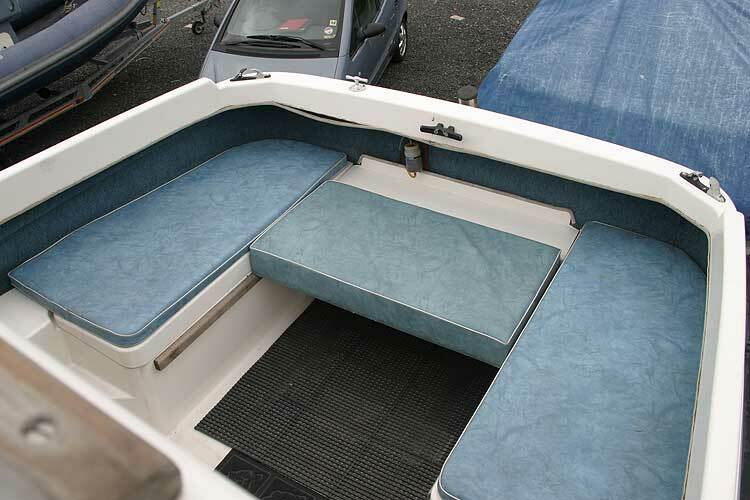 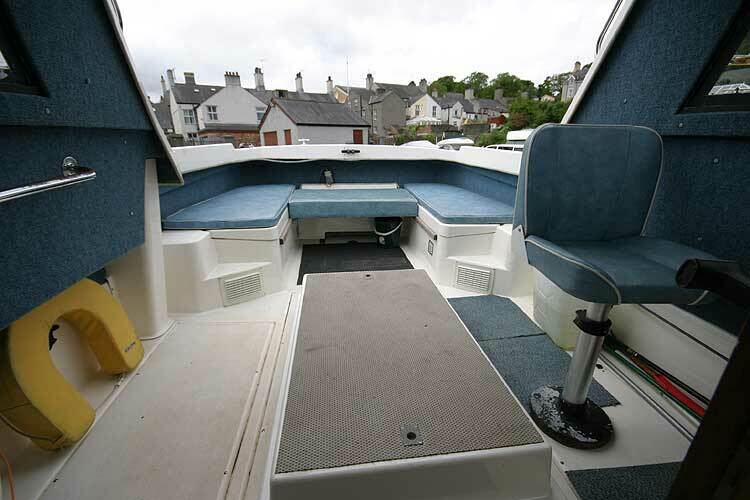 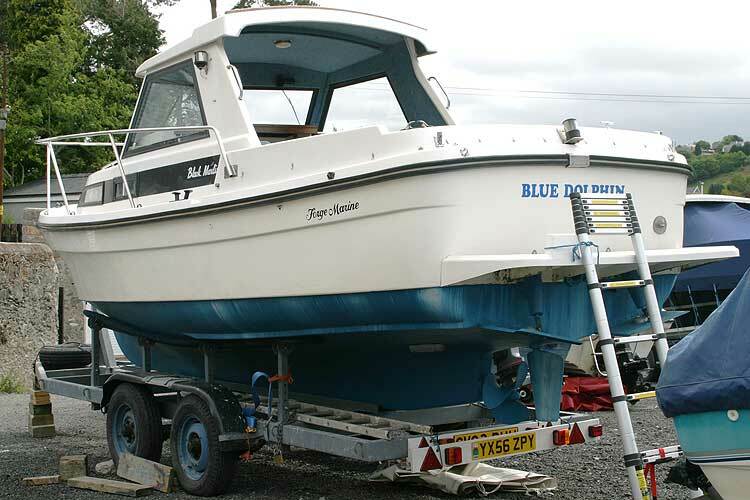 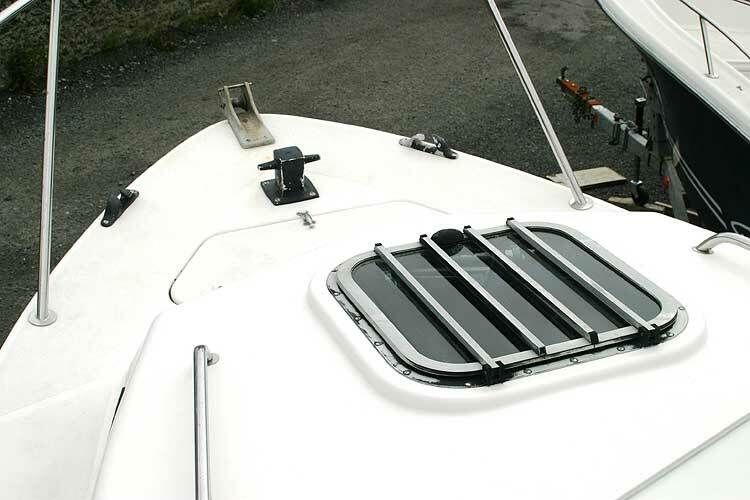 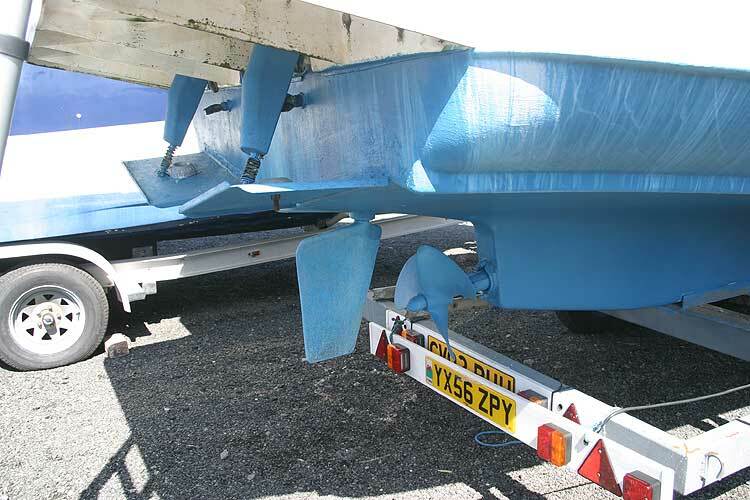 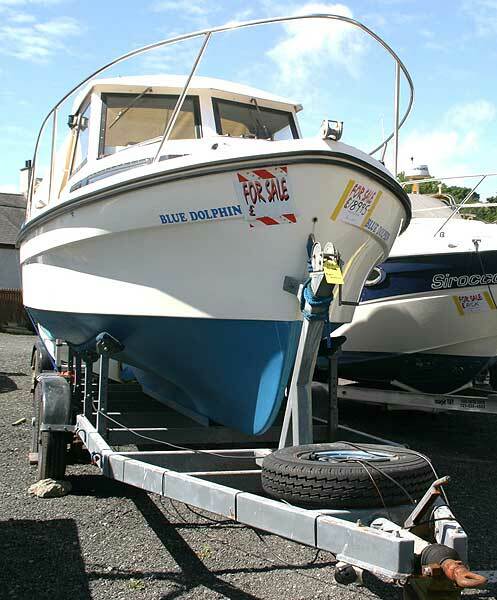 This boat has been lightly used for cruising in the local waters around The Menai Straight.The 130 hp Volvo engine and planing hull make her a very fast boat. 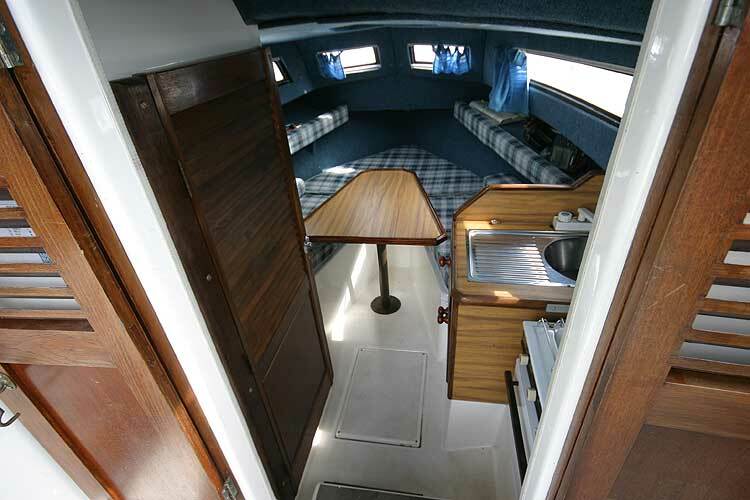 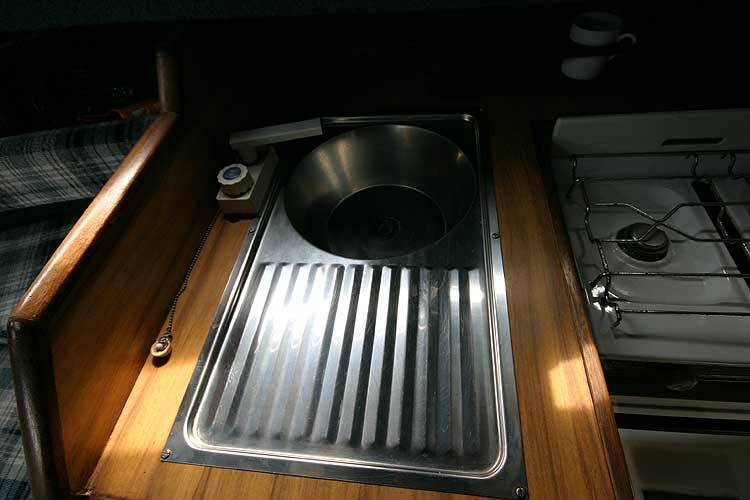 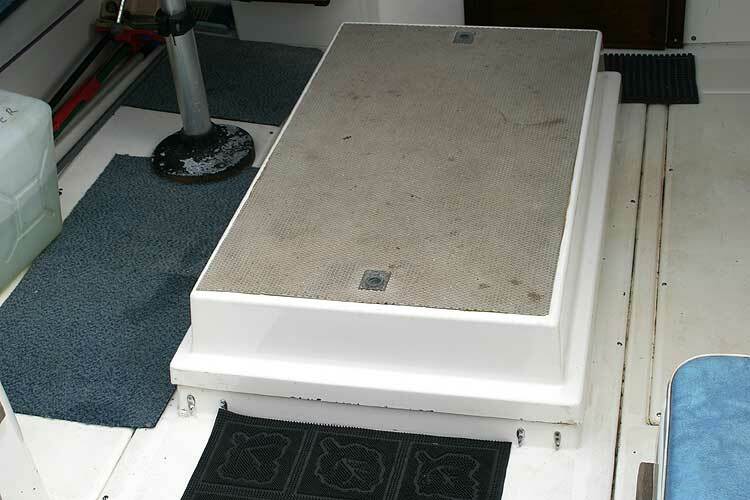 The accommodation includes a fully equipped galley and a separate heads compartment with a sea toilet. 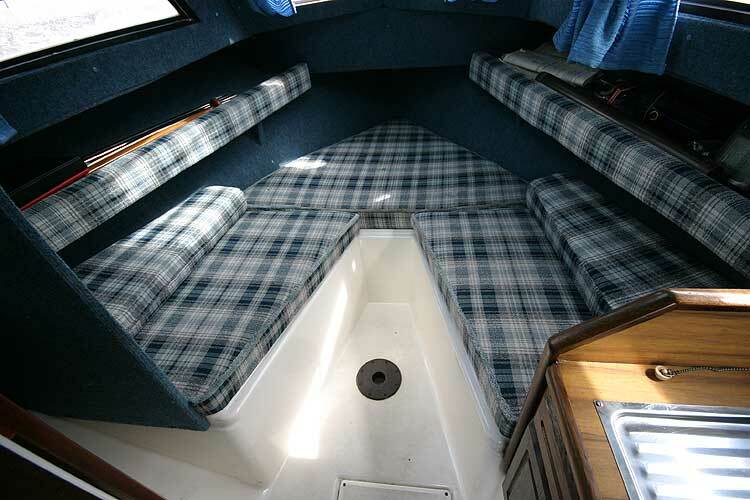 There are two bunks in the saloon and a possible further two under the cover. 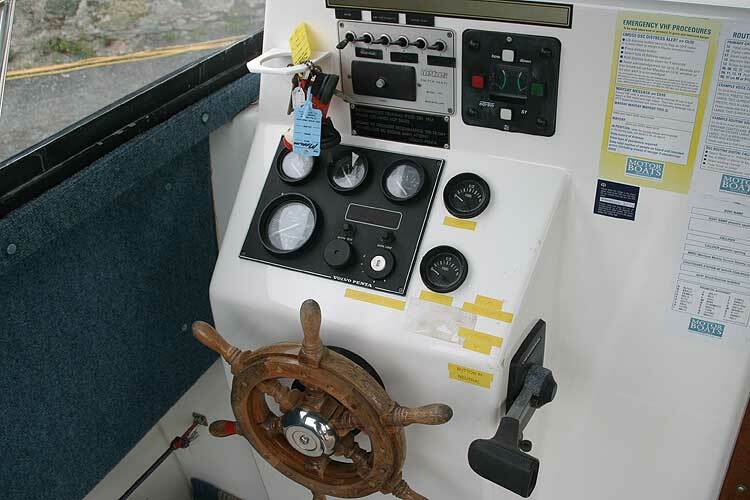 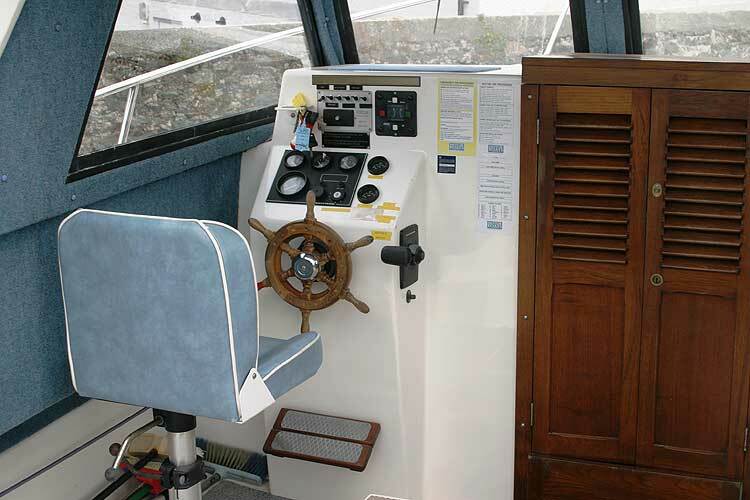 The wheelhouse offers good shelter and visibility. 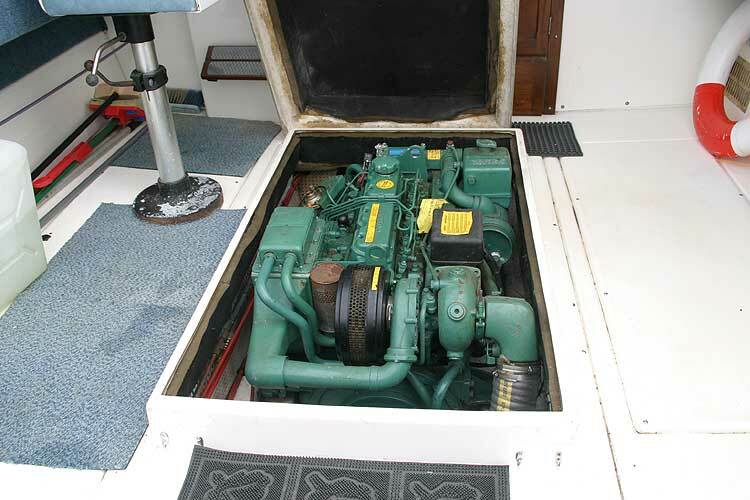 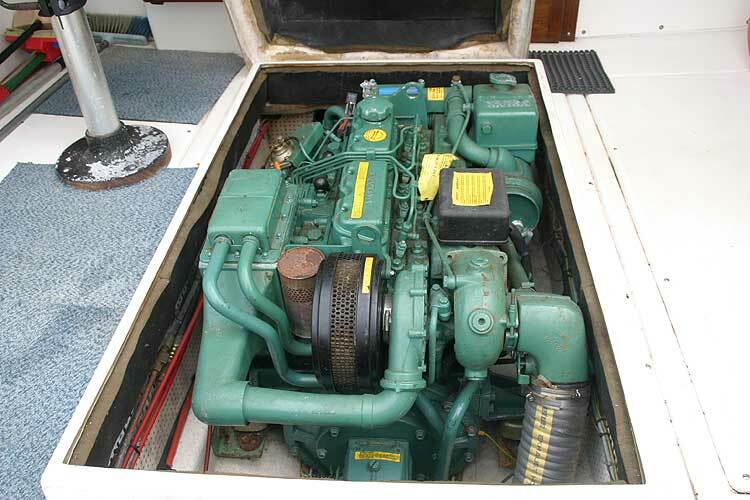 The engine is readily accessible through the large engine room hatch. 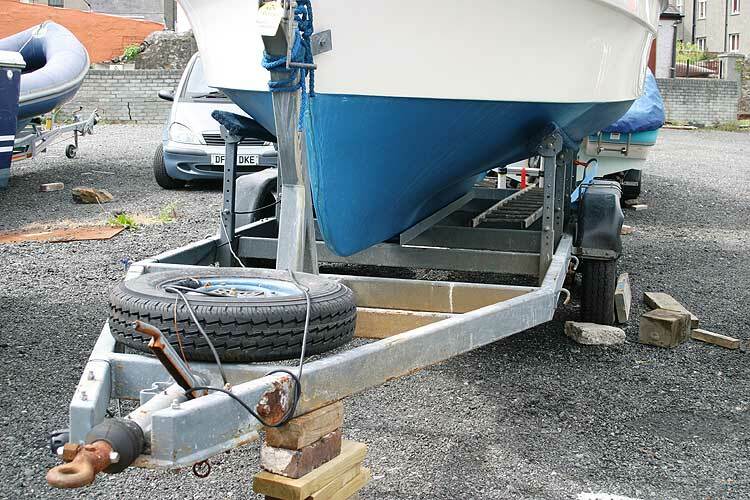 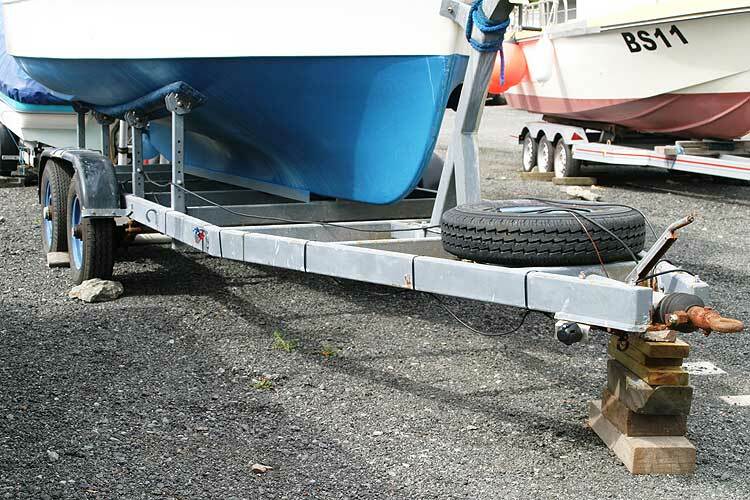 A substantial four wheel road trailer is included in the sale. 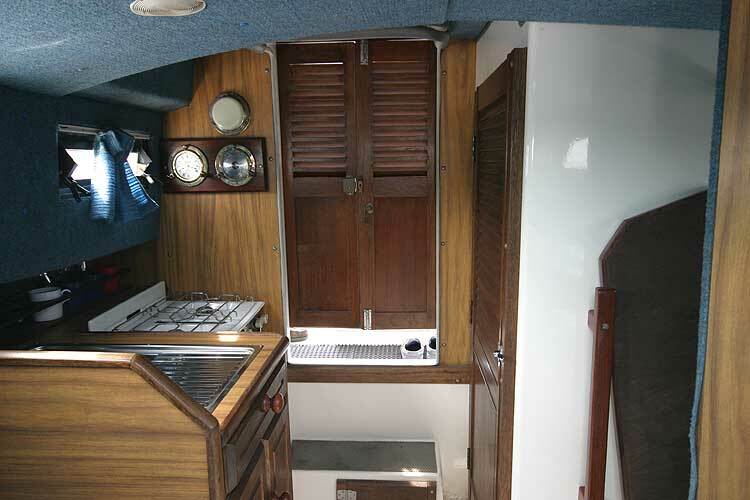 The saloon has two berths with a further two in the cockpit under the awning. 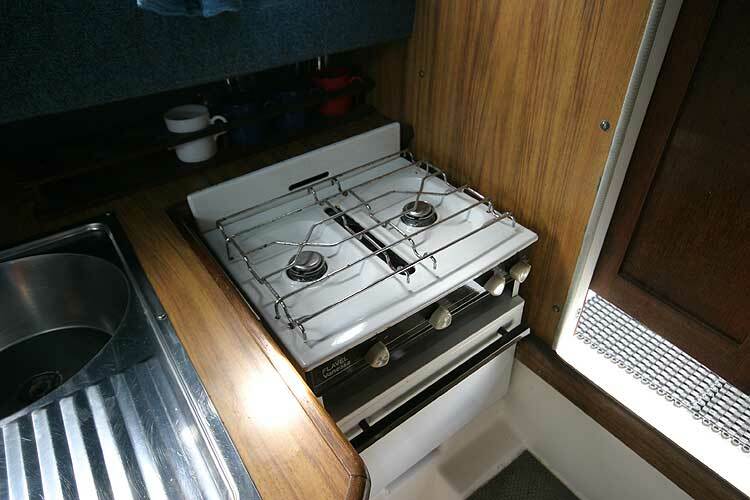 There is a two burner gas cooker with oven and grill, a stainless steel sink with pumped water, and a saloon table is available and this can be stowed away when not required. 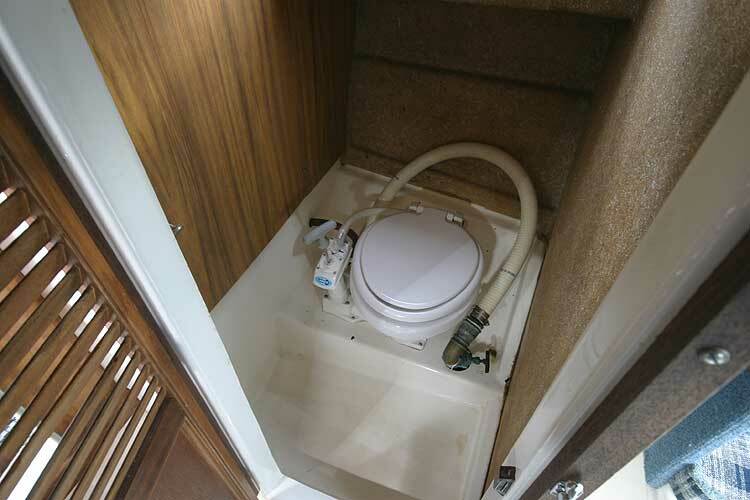 There is a separate heads compartment with a flushing sea toilet. 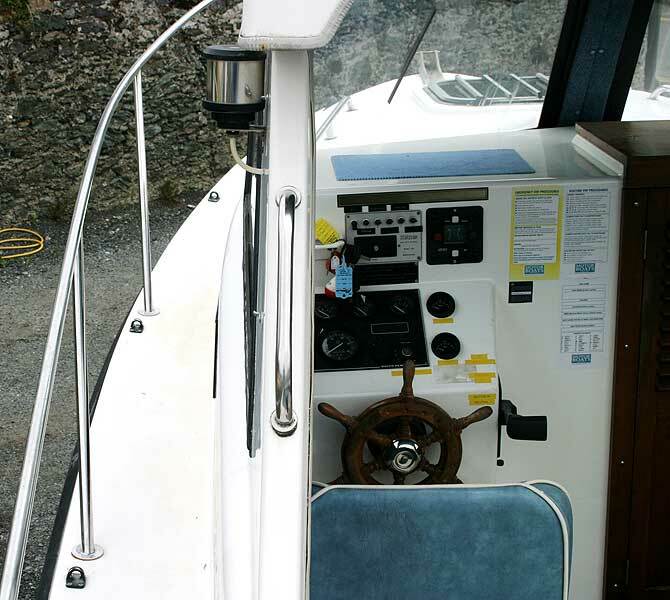 Clock and barometer. 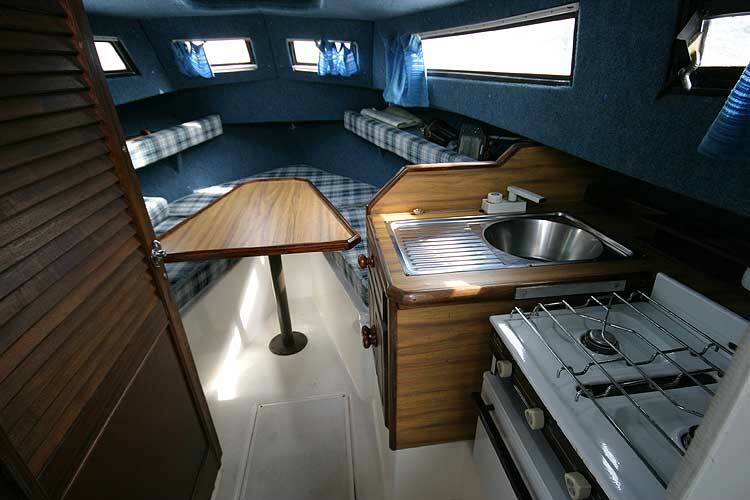 The galley is equipped with a two burner gas cooker plus oven and grill.nThere is a stainless steel sink with pumped water. 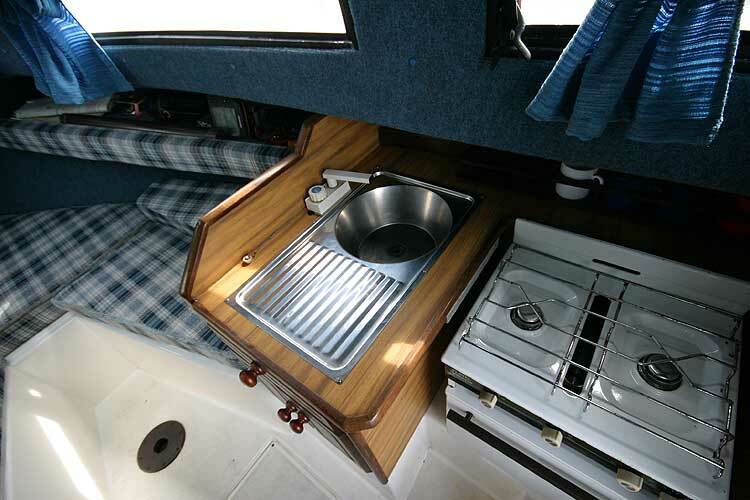 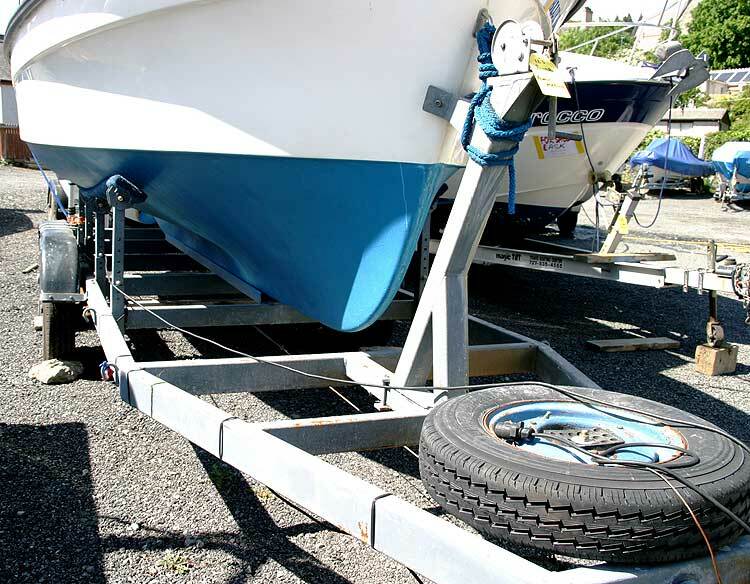 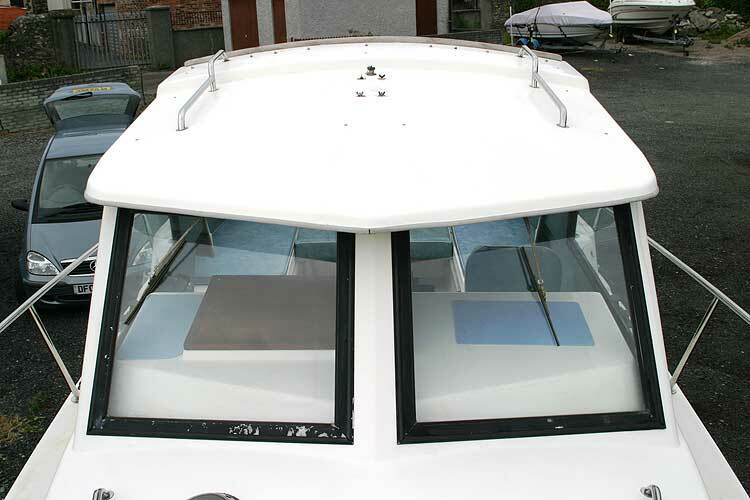 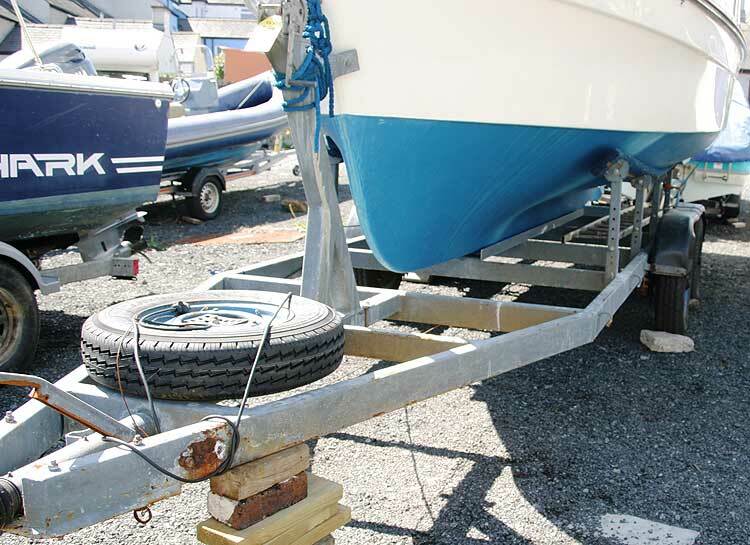 A four wheel road trailer is included, a cockpit awning,boat hook etc. 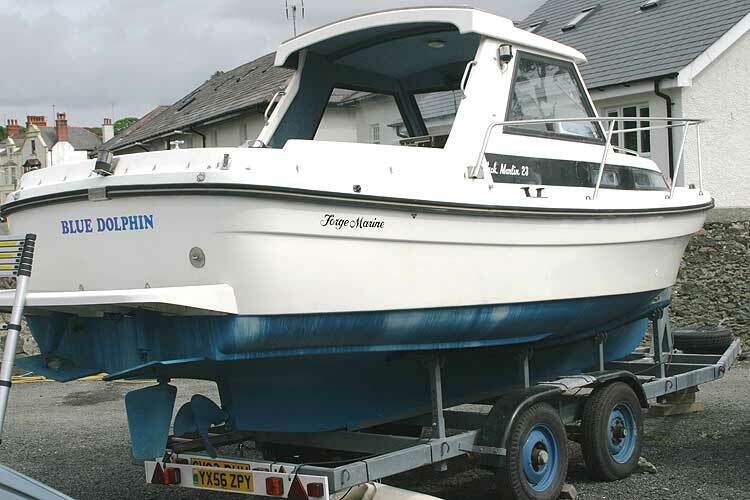 The boat is currently stored ashore in North Wales. 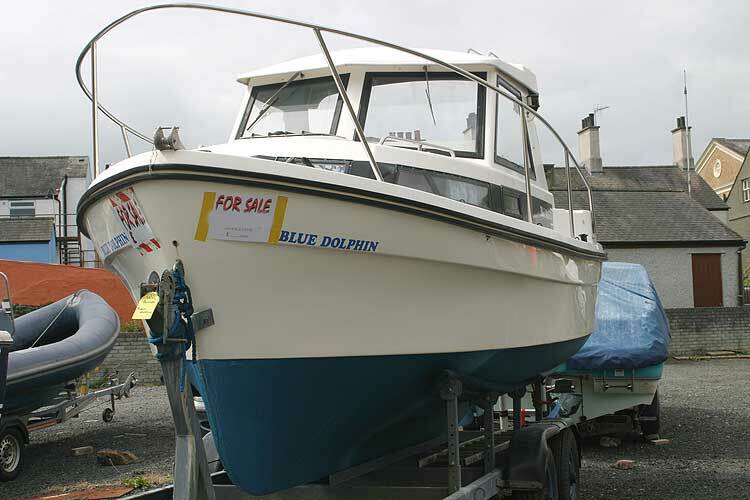 This boat is no longer for sale and remains here solely as an information resource for those researching Forge Marine Black Marlin 23's.